Coming into the offseason, financially strapped teams like the Texas Rangers were planning on making their winter upgrades via the trade market instead of the already inflated free agent market that has been out of this world for a few years now. Then, the Atlanta Braves and Arizona Diamondbacks ruined it for everyone. That's because the Braves took the Diamondbacks to the cleaners by sending them Shelby Miller, a really good pitcher, but not an ace, for the top overall pick in last year's draft, Dansby Swanson, and fellow prospects Ender Inciarte and Aaron Blair. 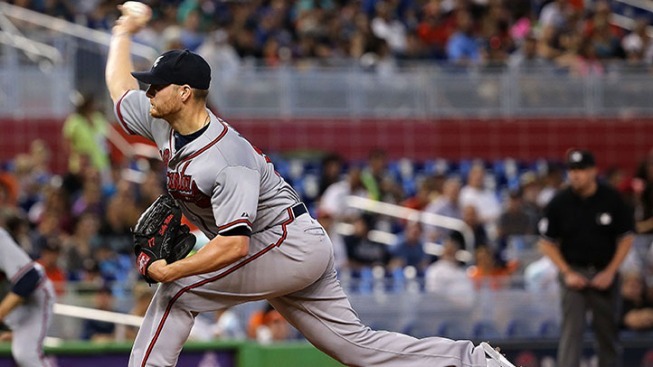 It was a move that pretty much universally voted a resounding win for the Braves, not because Miller isn't good (he's very good) but because they got way too much back for him. Now, the trade market is set, and it's out of this world. For instance, reports out of the winter meetings had the Rangers being asked for Joey Gallo in just about every worthwhile discussion they had. The Rangers still want to make some upgrades through trade, but it's going to be difficult with the market so skewed by one bad deal. Thanks a lot, Arizona.